Product prices and availability are accurate as of 2019-04-22 12:22:49 UTC and are subject to change. Any price and availability information displayed on http://www.amazon.co.uk/ at the time of purchase will apply to the purchase of this product. 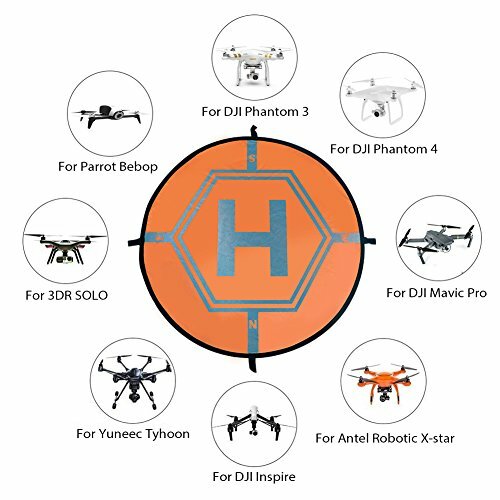 With so many drones & accessories available right now, it is great to have a manufacturer you can purchase with confidence. 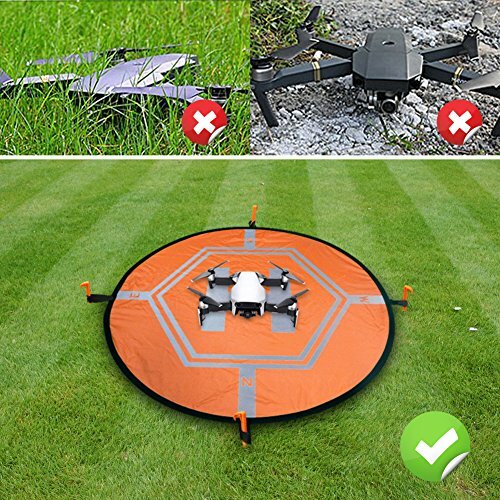 The Drone landing pad, Universal Waterproof Portable Fast-Fold UAV Landing Pad for Parrot Disco AR Drones Helicopter, 3D Robotics Solo; PVB Drones, DJI Mavic Pro Phantom 2/3/4/ Pro,AscTec Firefly, Antel R is certainly that and will be a superb purchase. 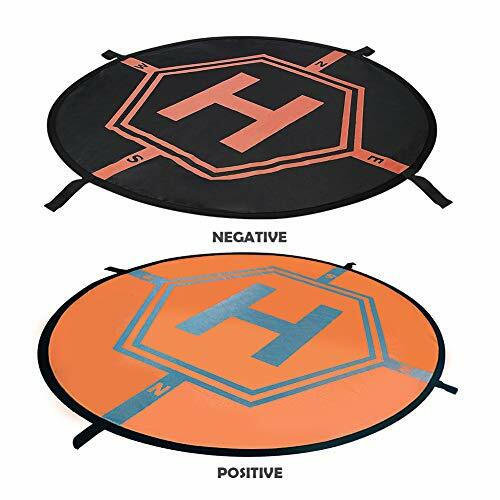 For this price, the Drone landing pad, Universal Waterproof Portable Fast-Fold UAV Landing Pad for Parrot Disco AR Drones Helicopter, 3D Robotics Solo; PVB Drones, DJI Mavic Pro Phantom 2/3/4/ Pro,AscTec Firefly, Antel R comes widely respected and is always a popular choice for lots of people who visit our site. UKON have added some great touches and this results in good value. 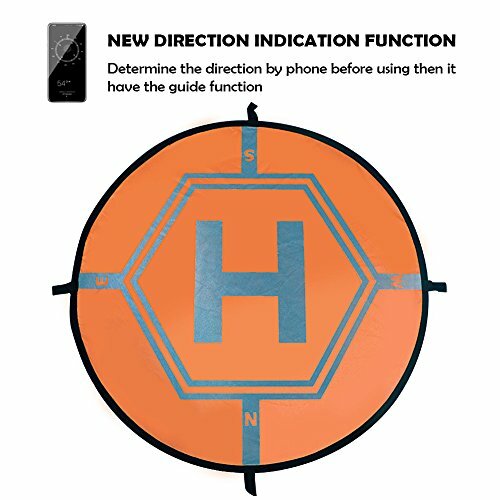 ?Reflective Printing- Creative durable reflective printing make it much more easier to use but no need to assemble with reflective strips all by yourself again, meanwhile the high visibility can be positioned very well in dark to assure your drone is in safe condition! 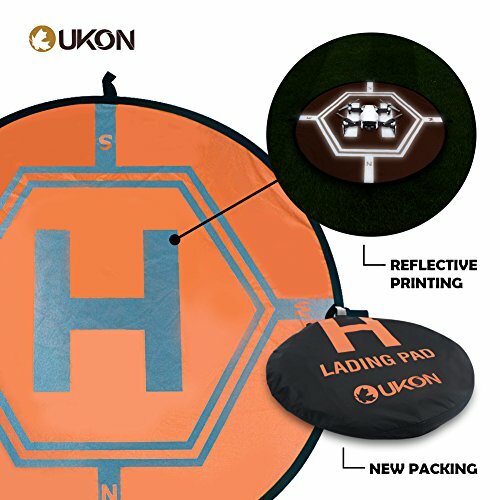 ?High Quality Nylon - Our landing pad is made of high quality lightweight nylon material which makes it durable to use. High precision printing and sun-protection, fade-proof and waterproof ?Universal & Compatible- 30inch"(75 cm) portable landing pad for DJI Phantom 2/3/4/4 Pro, DJI Inspire 2/1, DJI Mavic Pro, GoPro Karma, 3DR Solo drone, Parrot drones, Antel Robotic X-star, Syma, Hubsan, Holy Stone, UDI drones ? 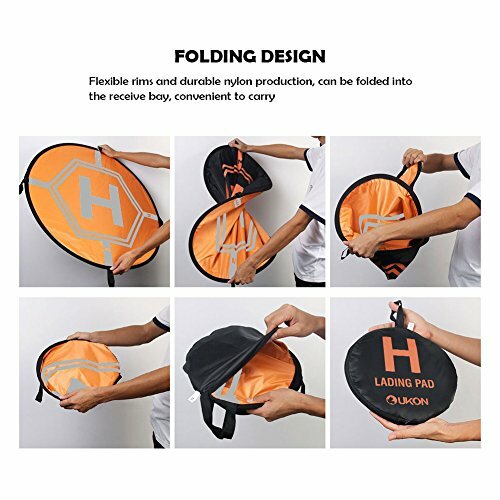 Fast-Fold & Portable- 11.4 inch foldable size with portable carry bag make it much more convenient and easy to carry/store. 4*landing nails is bonus to fix the pad for easy and safe landing in windy days ? Satisfaction Guarantee - We offer a 12 month Warranty and 30 Days 100% Money Back or Free Exchange Guarantee. Please feel free to contact us at any time.